Nichola was established in 2011 when friends saw her taonga and decided to set up a Facebook page to sell the artwork that had been gathering dust. The products are a range of handmade wearable taonga (jewellery), homewares and screenprinted clothing. 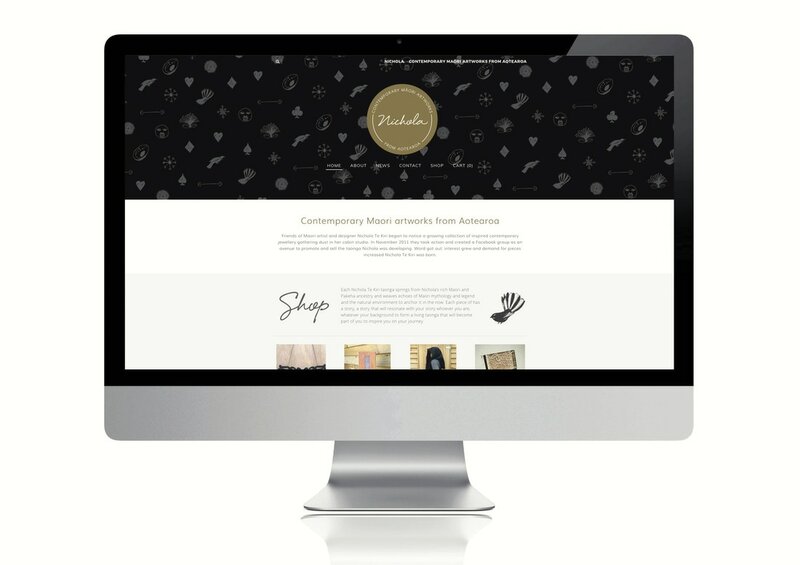 ​Seeking strategic direction for their brand and business, Nichola engaged the services of Platform Advertising to complete a full rebranding and determine an overall marketing plan. Initially we ran a marketing and branding workshop to extract the story of the brand and its key messages. We then developed a new brand to execute on its website, business cards, product cards and other collateral.